A hundred years ago, the assertion that the richthe yield can be obtained only in the fertile soil was considered axiomatic. Modern growing techniques based on the use of the composition of the soil in place an ad hoc basis, allow you to create more favorable conditions for cultivation of any crop. Hydroponics - one of the areas of cultivation of plants all the nutrients for which they receive through special solutions. 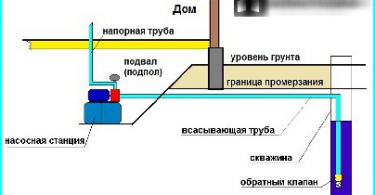 This technology is actively used in greenhouses in many countries. Hydroponics with your hands - an opportunity to create at home lush flower gardens, as well as getting rich quick and environmentally friendly crop. The minimum labor input. Since this approach, plants grow withoutengaging the soil, work only limited control over the crops for the care of the presence of water tanks and removal of dead stems and roots. 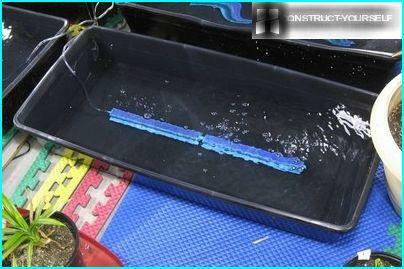 Equipping a homemade hydroponics, you get rid of problems such as weed control, soil loosening and the fight against harmful insects. When transplanting perennials eliminates the need to clean the roots from the old soil depleted, thereby injuring them. 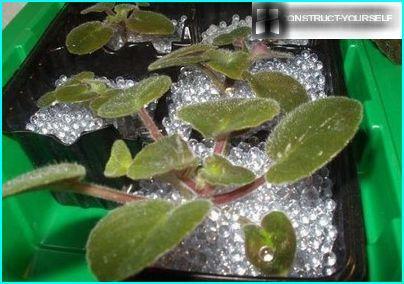 It is enough to cross a plant in a container larger pour new substrate. Space saving. To create optimal conditions and maintain the vitality of roots nesazhdeny require a minimum of space. 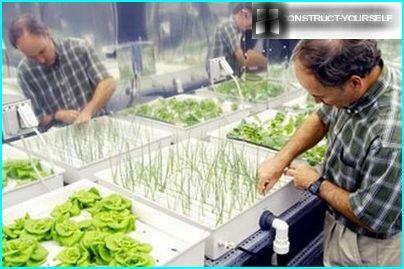 Grow hydroponics can be on the windowsill or in a conventional greenhouse. High productivity and environmental friendliness. Thanks to its simple in execution, butquite effective technology Flowers roots are supplied with all necessary materials. 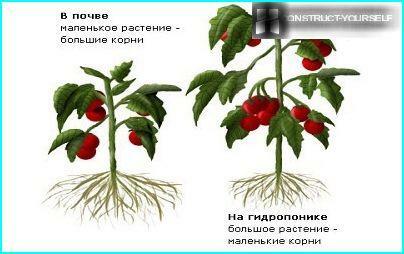 Crops grown hydroponically is moderately, but a strong root system and well-developed aerial parts. This allows you to collect higher yields than when grown in soil. In the process of growing plants do not accumulate harmful substances, which are often present in the soil: heavy metals, radionuclides, organic toxic compounds. 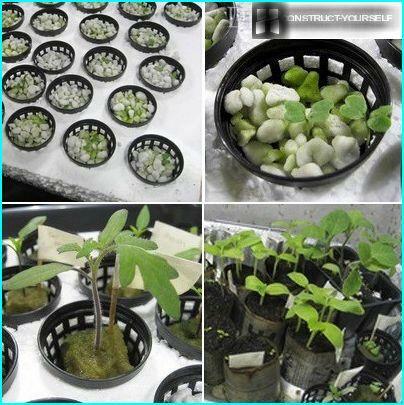 Plants grown hydroponically, not howThey differ from their counterparts grown in soil: no taste or aromatic qualities. They differ only in the greater intensity of vegetation and higher volumes of fruiting. For everything hydroponic systems usesolutions, which contain all the necessary nutrients and trace elements. Key among them are: phosphorus (accelerating growth and improving flowering), potassium (contributing to the intensity of the color of flowers and ripening of the shoots), calcium and magnesium (stimulating the development of the root system), and other components necessary for the construction of the plant organism. Often, as a culture medium for the regeneration of hydroponic flowers are the special composition, a characteristic feature of which is sufficient friability and high vlagovpityvaemost. 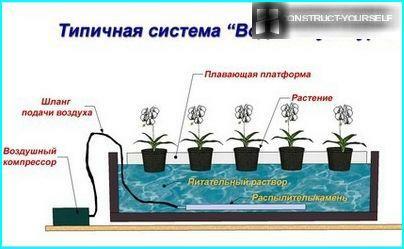 For trouble-free arrangement vlagopitaniya plant at home, you can use a simple hydroponic installation, you will be able to gather everyone. The bottom and walls of the container should be made ofopaque plastic, which does not let the sun's rays. Containers made of translucent plastic to be obscure, wrapping the outer wall of the food with foil or painting a dark paint. 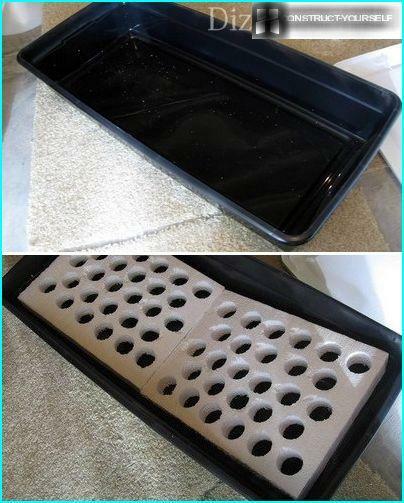 The foam sheet should be cut holesto accommodate the cups with plants. 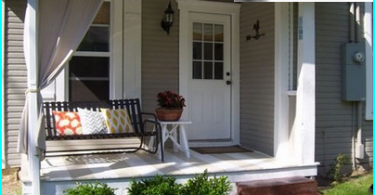 The holes should be made on equidistant distance, so as sprawl neighboring plants do not interfere with each other. 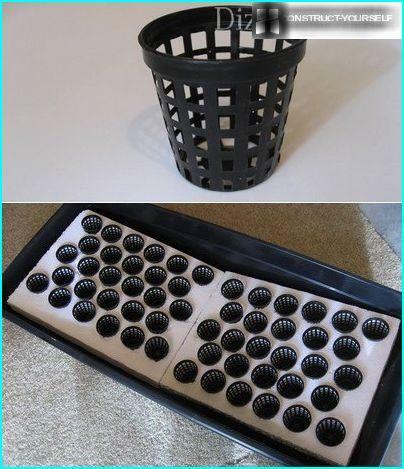 Pots for plants can be made of conventionalplastic cups, punctures in the bottom and the walls of the products are small holes. With many holes nutrient substrate will always stay wet. The size of the holes should be slightly smaller than the diameter of the top of the pot, so that they do not fail completely, but only slightly, "drowned"
For uniform distribution of the liquid can be added at the bottom of the container to place dispensers - aquarium stones. Installation ready for operation. 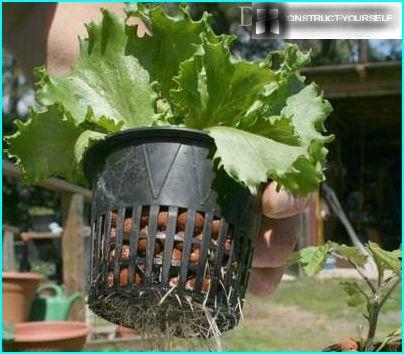 It remains to fill cups substrate and planted them in the plant. 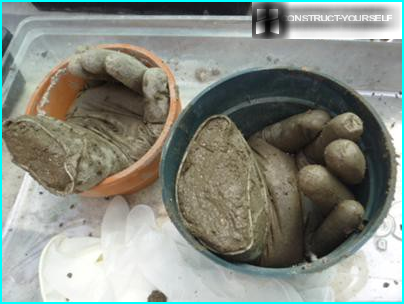 A container filled with a nutrient liquid, so thatthird pots was immersed into the solution. Further care is topping up the fluid to the required level and the monthly full update solution.